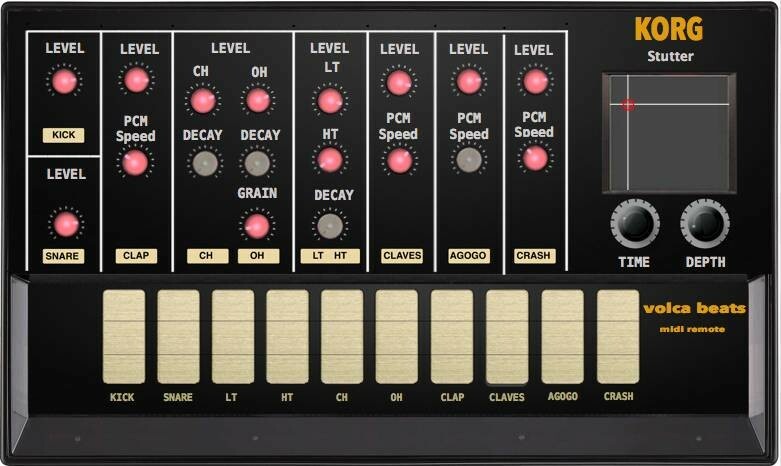 Volca Bass Midi Editor / VST - volca-bass-remotes Webseite! 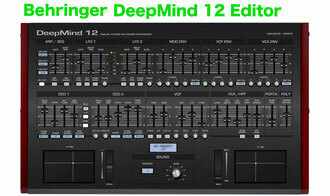 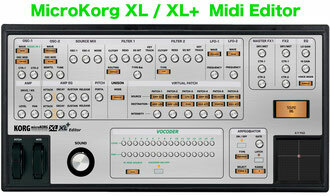 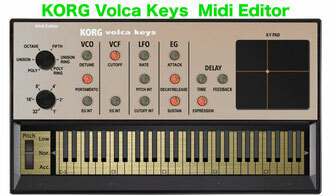 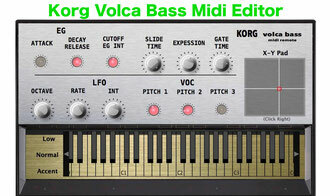 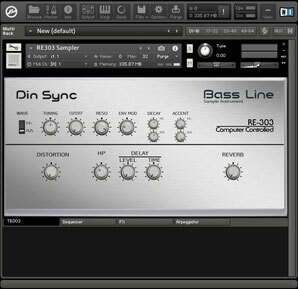 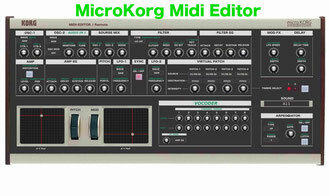 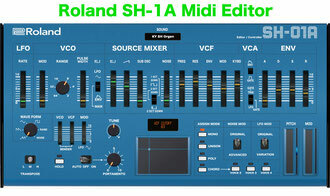 The „Korg Volca Bass“ parameters can be automated, they can be stored in the DAW Song. 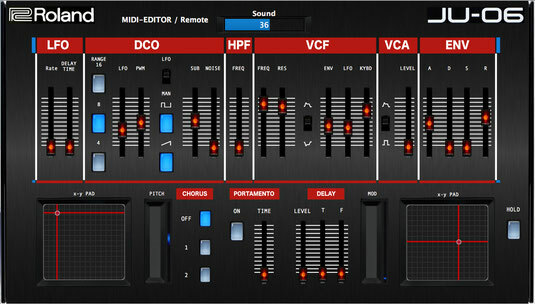 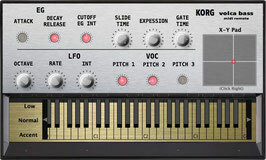 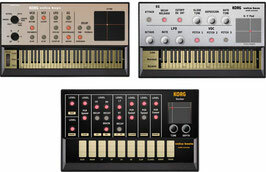 The hidden parameter "SlideTime", „Expression" and "Gate Time" can be changed using the "Korg Volta Bass Midi Remote", which are not present on the Korg Volca Bass surface. 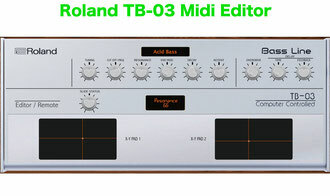 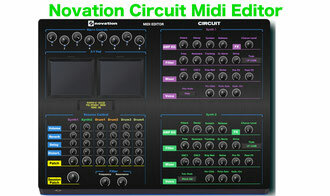 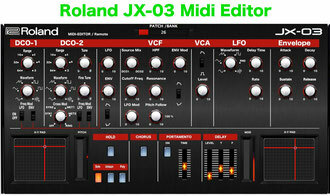 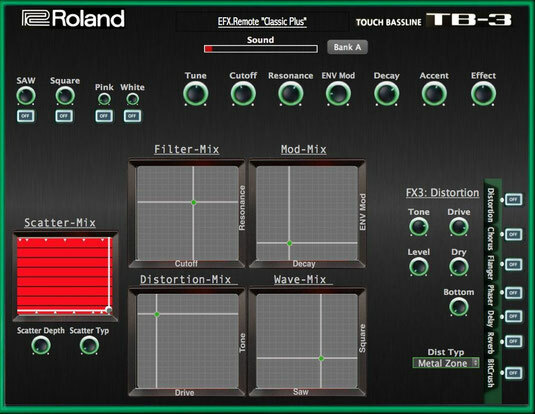 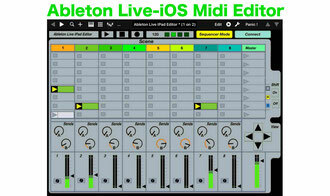 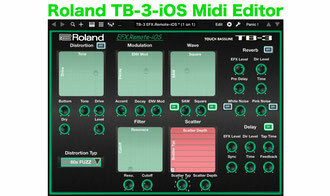 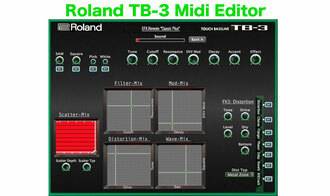 About the keyboard, notes can be entered with Accent, which is important for a typical TB 303 sound. 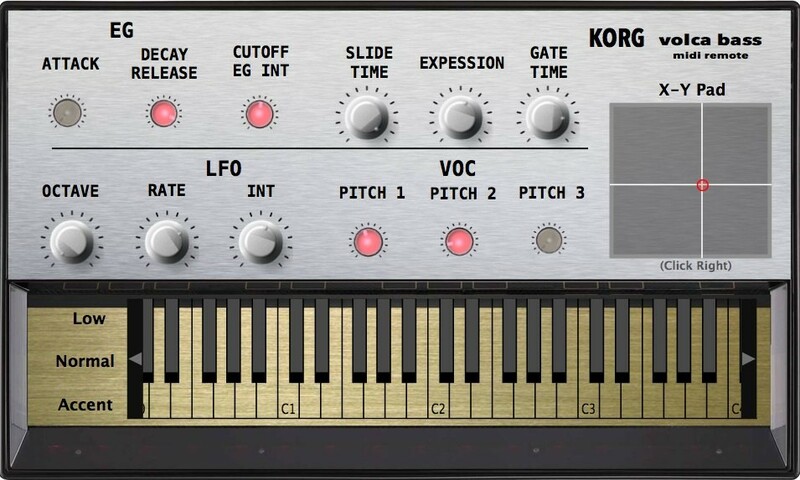 You can remote the controller of Korg Volca beats. 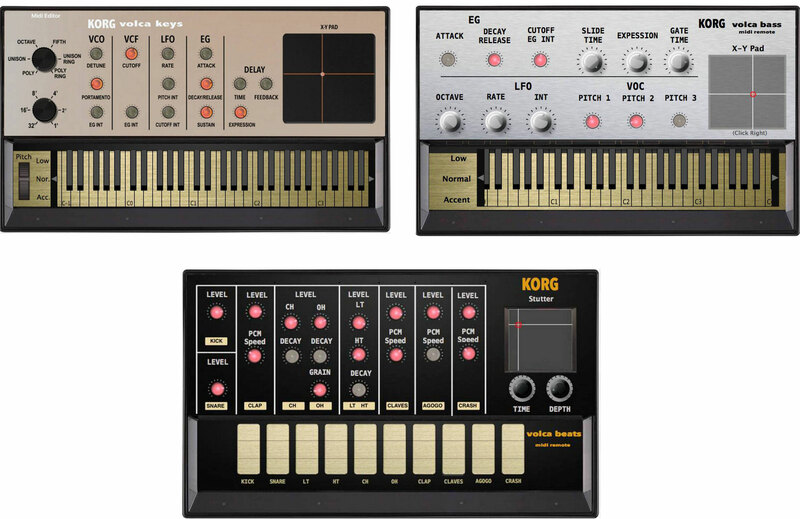 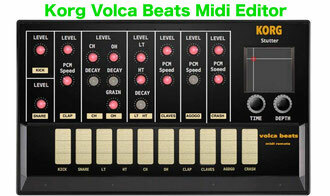 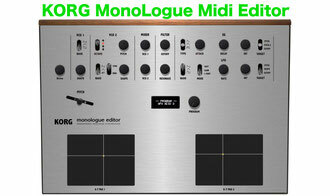 The „Korg Volca Beats“ parameters can be automated, they can be stored in your Song. 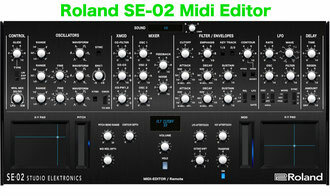 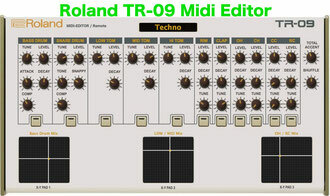 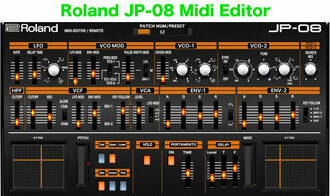 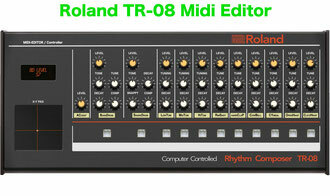 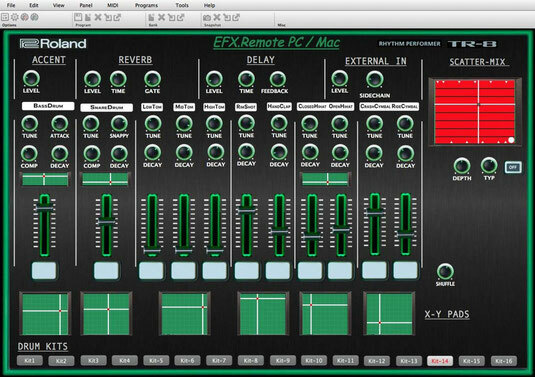 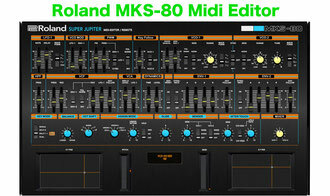 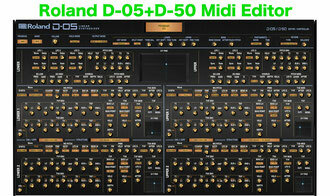 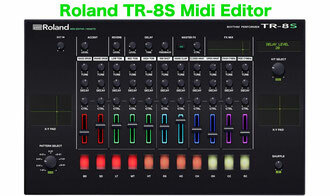 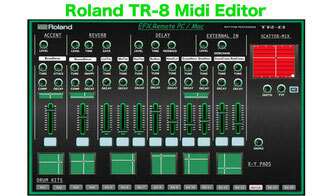 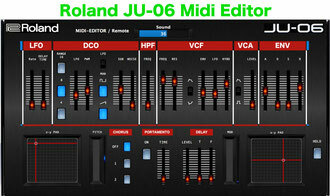 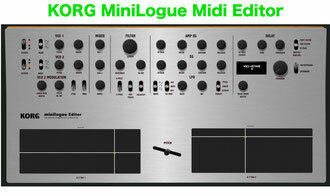 Roland Boutique JU-06 "Midi Editor / Remote"
Midi Edtitor for Roland TB-3.